You are here: Home > News > UAHS Invites Members to Upcoming EGM. 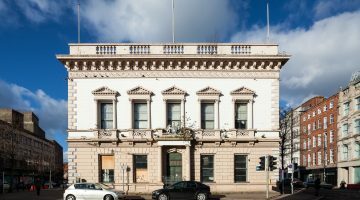 The Ulster Architectural Heritage Society invites Members to our Extraordinary General Meeting (EGM) on 23rd November in Belmont Tower, Belfast at 7pm. For almost fifty years now your Society has been in the vanguard of campaigning, protecting and highlighting the importance of the unique asset that is our built heritage – the streetscapes and countryside, the towns and villages for people and communities. While such value and potential is increasingly being recognised, the UAHS still has a significant role to play in independently promoting the protection, conservation and heritage-led regeneration. It is vital that the UAHS remains as relevant and effective as it can be as we move into our 50th year. While core values remain, the Heritage Lottery Funded UAHS Transition Project, to which many of you have already contributed, has facilitated a review of all our activities and the way in which we operate. There has been a review of our memorandum and articles, our vision, our governance and structures and our membership offering in addition to our “public face”. We have been testing new ways of reaching out to people and communities through the ‘Your Architecture, Your Heritage’ pilot projects. Over the coming months you will start to see important changes take shape. There will be a new website and better use of technology. The main name will change to ULSTER ARCHITECTURAL HERITAGE, reflecting a more contemporary and inclusive style ‘Society’ will be reserved exclusively for you, the membership group.